For the first time in I think ever on this blog I did not post about a United match. I moved out of the parents' house this weekend so I saw the game but the whole weekend was pretty hectic and I never got chance to blog, but fear not, I am back with a small Watford preview. Injuries for Liverpool mean they are still without Dejan Lovren and Joe Gomez but there is some good news on Roberto Firmino as the injury he picked up in the United game doesn't appear to be as bad as first feared. Watford only have one absentee as Kiko Femenia who is unavailable due to a hamstring issue. 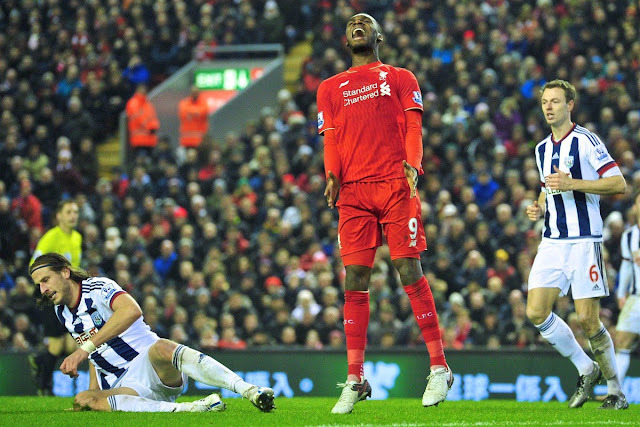 Liverpool's 0-0 draw with Manchester United was enough to take them to the top of the table. 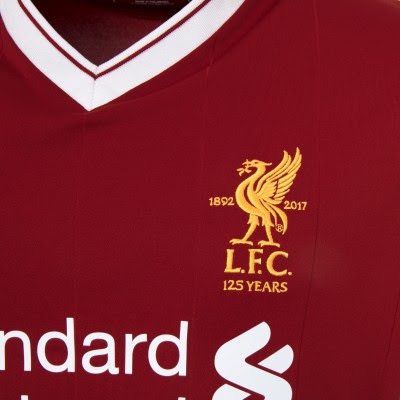 The Reds are now on 66 points with City in second place on 65. Watford are currently 7th in the table on 40 points, it's been a strong season so far for Watford but I'm not sure they will get the better of Klopp's side at Anfield. Long time, no blog... I must apologise for the lack of content on The Liver Bird lately. I've struggled quite a bit balancing blogging since starting work a couple of years back now and it always seems to be even more difficult towards the Christmas period with fixture pile ups and festivities. However, I am here and I will certainly still be writing about my beloved Reds just perhaps a tad infrequently. Anway... I am glad you have all survived the international break. I genuinely feel like part of me is missing during these parts of the season, don't know where to put myself, but we're back and it's Watford up next for Jurgen Klopp's side. Liverpool have pretty much a full squad for this game with just the one doubt hanging over Jordan Henderson. For Watford, they are also looking strong as Capoue returns from a suspension and Will Hughes regains fitness. Same old problems, same old Liverpool. The 3-3 draw with Watford has only highlighted our pre-existing issues which don't appear to be anywhere near solved. With a defence looking completely lost and a midfield struggling to pass freely it was a frustrating outing a Vicarage Road on Saturday afternoon for the Reds. 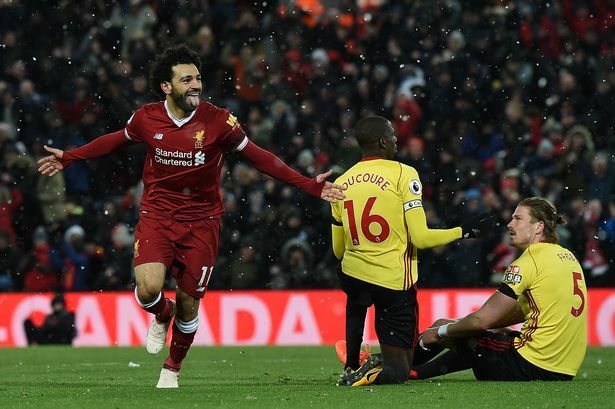 1) Mo Salah looks a good buyDespite the many, many negatives from that fixture it has to be said that Salah was one of the positives. He put on a good display in his pre-season matches and has proved against Watford that he can tough it in the Premier League. His clever play to force the penalty was quickly followed by a goal of his own (that Firmino shot wasn't going in so it's a good job he continued his run). He made a real impact I felt, certainly in the second half and if anything, scoring on your debut, whatever the result is going to work wonders for your confidence. Keep an eye on this lad. Liverpool took a huge three points from Watford on Bank Holiday Monday thanks to a wonder strike from Emre Can. The German international performed some insane acrobatics to reach Lucas Leiva's cross and scissor kick home the Reds' only goal of the night. As the race for the top four continues to be too close to call, Jurgen Klopp simply had to steer his side to victory against Watford. The plan didn't start very well though after Philippe Coutinho was forced to leave the field early on. Replaced by Adam Lallana to cheers from the travelling Kop it was still a real concern as Lallana himself had only just returned to fitness. Lallana however looked completely match fit and had an instant impact on the game including an awesome volley in the first half which smashed out off the bar. Most fans thought that would be the only stroke of magic for the evening but Emre Can had other plans. 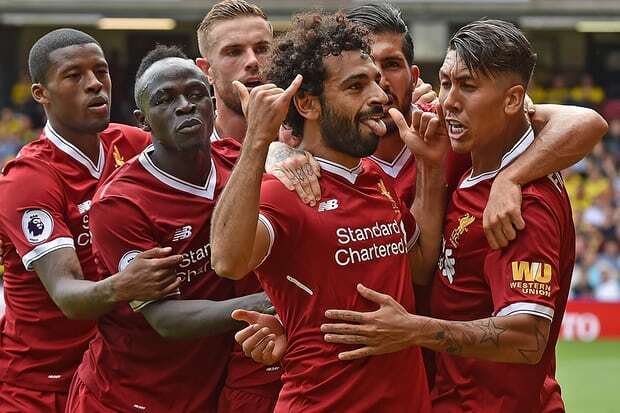 Liverpool travel to Watford on Bank Holiday Monday as they aim to pick up three points and continue their quest for Champions League football. The last time the Reds faced Watford they scored six, will it be another confident victory away from home? Injuries for Liverpool mean they are unable to call upon Mane, Henderson and Klavan while doubts also hang over the fitness of Daniel Sturridge and Adam Lallana. The latter of the two is rumoured to be close to full health but it is not known at the time of writing whether he will make the cut. For Watford, they are likely to be without Kaboul who has a hamstring injury. Zarate and Pereyra are also unavailable. The Reds have to wait until Monday evening for this fixture meaning Manchester City could be on 68 points and Manchester United on 67 points (depending on their own results on Sunday) by the time they kick off. Liverpool currently sit in third on 66 points so a win would take them up to 69 points, once again giving them some air. I expected us to beat Watford on Sunday and I expected us to concede but I never expected us to walk away with a 6-1 victory. It was a ridiculous performance from the Reds and what is most refreshing to see is the fact that the goals aren't just coming from one player. In the days of Suarez/Sturridge/Gerrard/Torres etc Liverpool only really had a couple of names at any one time as a source of regular goals. When one was injured or suspended we struggled. This season it doesn't look as though that is going to be an issue with Mane, Coutinho and Firmino taking regular goalscoring spots and people like Can and Wijnaldum popping up, we're looking extremely strong on the attack. Walter Mazzarri is going to have to "blow the bloody doors off" if he wants to force this Liverpool side out of drive and into park on Sunday. 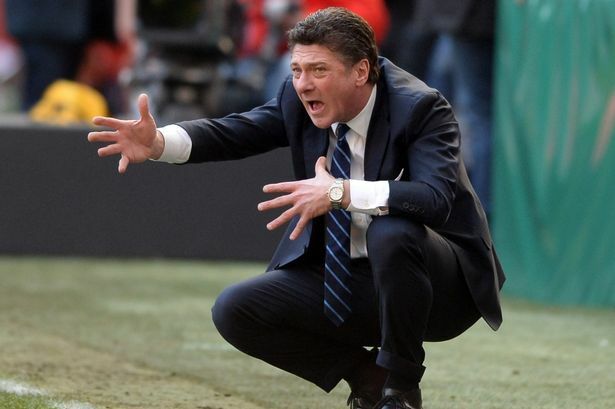 The Italian has got Watford playing some great football but in the bubbling Anfield atmosphere, only increased by the Reds' recent confident performances will Mazzarri be able to make the best of a difficult situation? Of course, he's got experience in difficult situations and is no stranger to taking a side to a famous or intense ground. Back in Serie A as manager of Inter and Napoli spanning five years he visited the cauldrons of the Stadio Olimpico, the Juventus Stadium and both the San Siro and the Stadio San Paolo as a home and opposition coach. 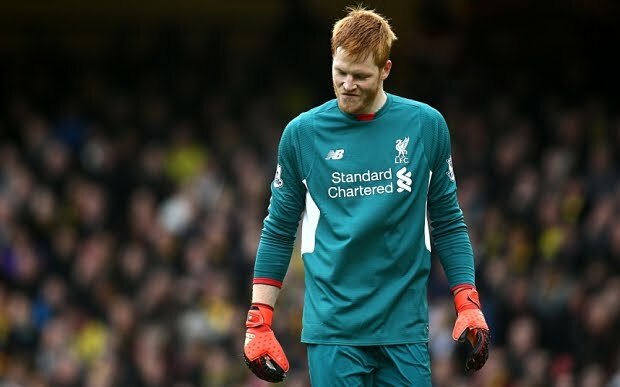 Liverpool had to walk away from Vicarage Road on Sunday afternoon with their heads firmly in their hands, which is more than can be said for the ball in Adam Bogdan's! The Reds got off to a shocking start after Mignolet's understudy began his first league fixture in disastrous fashion and things quickly went from bad to worse for Jurgen Klopp's side. 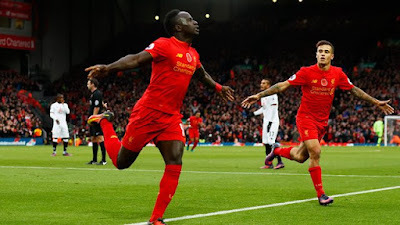 In a line up that lacked a recognised striker, it soon became evident that Liverpool were going to struggle to trouble the Watford goal whilst the likes of Deeney and Ighalo were immediately creating problems. After just two minutes, the home side got off the mark thanks in part to Nathan Ake but massively due to Adam Bogdan. Liverpool prepare to face Watford at Vicarage Road on Sunday in the last fixture for the Reds before Christmas Day. 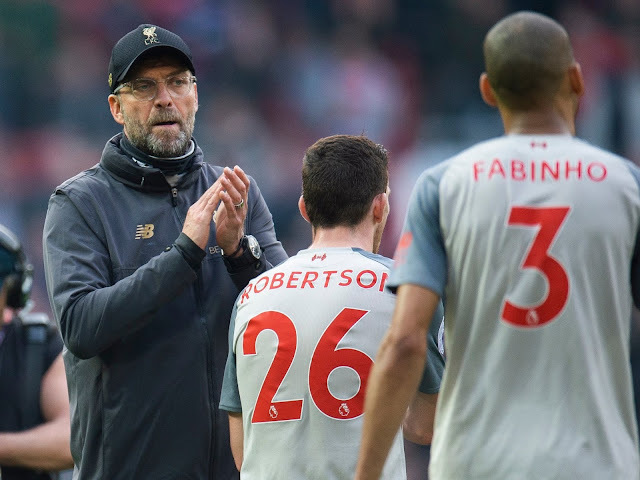 Jurgen Klopp's side just about managed to collect a point against West Bromwich Albion last weekend and will be looking for a more convincing result this time out. Injuries for Liverpool mean Dejan Lovren will be unavailable. Also out is James Milner who has picked up a calf problem and of course Klopp is still unable to call upon Daniel Sturridge. For Watford, both Hoban and Gilmartin are injured long term and there are doubts hanging over Behrami and Prodl who will be subject to late fitness tests. At present, Watford are 7th in the table on a total of 25 points, Liverpool are sitting just behind in 9th but a win would take them above the Hornets. Form wise, the Reds have won three out of their last six fixtures in the league whilst Watford have picked up four wins over the same period and have not lost in their last three. 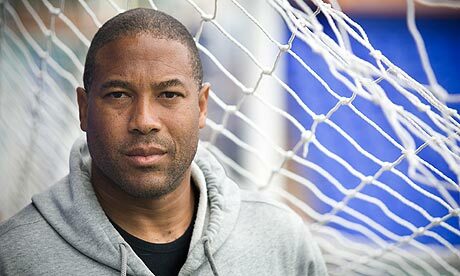 I was 8 years old when John Barnes parted ways with Liverpool, for this reason i don't remember too much of the Jamaican born winger but my first memory of Barnes was watching a countdown of footballing moments programme with my Dad. That famous moment in 1984 when John Barnes weaved through the Brazilian defence like it wasn't even there will forever amaze me, no matter how many times i replay the You Tube video. His skill in the final third at the Maracana Stadium was more like a silky smooth section of the macarena. I still struggle to this day to find many goals that live up to the calibre of that one.